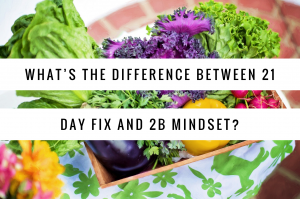 What’s the Difference Between 2B Mindset and 21 Day Fix? I have been coaching for over two years now and have seen my challengers literally change their lives as a result of taking chance both on me and the programs I believe in so strongly. The people I’ve met have been nothing short of amazing, and they have changed my life while changing their own. The best part is that our company and its offerings just keep getting better and better to meet the needs of so many who are seeking a healthier lifestyle. More options mean more questions (which I LOVE) and so I thought it was time for me to address the most common question I’m asked these days. 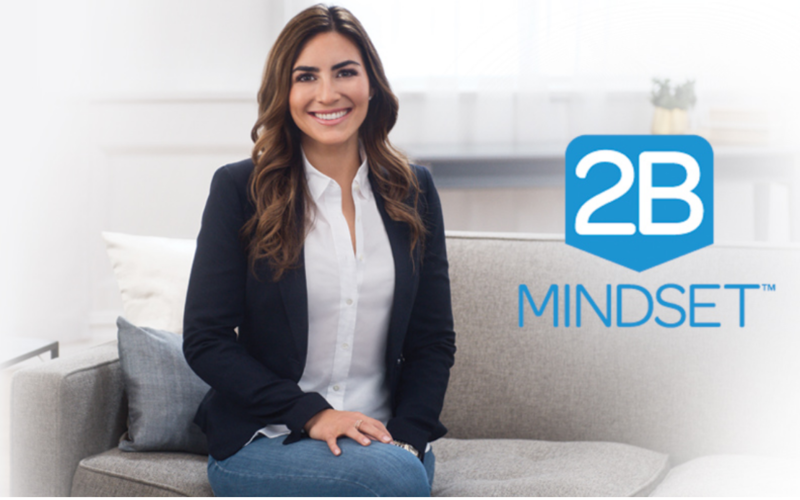 What’s the difference between 21 Day Fix and 2B Mindset? Perhaps the most popular program I coach is the 21 Day Fix. This is the program that started me on this journey and I’m so thankful that I was introduced to it. The Fix made up of 7 workouts combining cardio and light weight-training, pilates and yoga. This program incorporates a portion control system, “Portion Fix,” using color-coded containers that represent different food groups. Through a calculation, you are given instructions on how many containers of each food group you can consume each day. (Think weight watchers point system, but with more of a concise measuring approach.) The “Fix,” as it is affectionately called, came out in 2014 and took the fitness world by storm. Those that followed both the nutrition and fitness parts of the program saw amazing results quickly. I personally lost 7.25 lbs and 7 combined inches in my first 21 Day round. Even better, my endurance improved drastically. I stopped heaving around my neighborhood during my nightly runs! Even with the success of that program and the Portion Fix nutrition plan, there was still a void that needed to be filled within the line-up that our company offers. Surprise, surprise – not everyone wants to exercise! Enter the nutrition-only program, 2B Mindset designed by Registered Dietitian and Nutritionist, Ilana Muhlstain. You may have seen ads touting that you can “eat whatever you want and still lose weight.” That’s, well… kind of a stretch. If you are expecting any kind of miracle program where you can sit around stuffing your face with Oreos and Mike’s Hard Lemonade, this isn’t that nor are any of the other programs I coach. While you can enjoy the occasional “silly carb” (as Ilana calls it), you are expected to follow specific principles of the program and to track everything you put in your mouth. Unlike the Fix, the 2B Mindset program does not require exercise unless you desire to incorporate it. She calls exercise “extra credit” and encourages dialing in nutrition first before embarking on a fitness program. 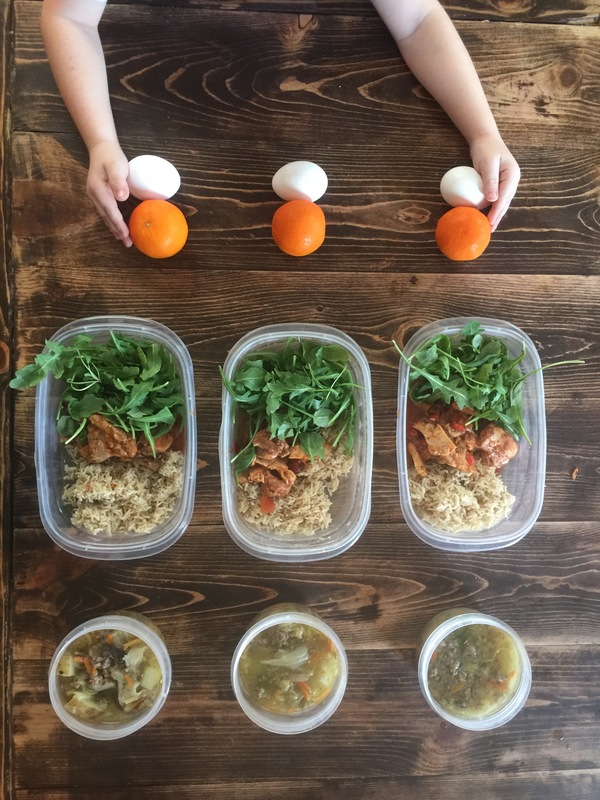 Instead of color-coded containers, Ilana breaks the foods up into groups – Vegetables, Proteins, Fiber -Filled Carbohydrates (which she refers to as FFCs), and Accessories – added sweetners, dressings, oils, etc. She allows you to divide your plate into certain percentages of each. This method is referred to as “Plate It.” For example, at dinner, she recommends a plate of 25% protein and 75% vegetables. The Fix allows you to decide what time of day you want to eat your containers whereas 2B Mindset steers you away from carbs in the late day hours . Rather than precisely measuring every serving, you are eyeballing portions and using your best judgment. Vegetables are always a freebie and she recommends always reaching for “Veggies First.” You are encouraged to eat three meals per day and incorporate a snack only if you need it. Now, back to those Accessories. The Fix calculates accessory type foods using “teaspoons” or tiny orange and blue containers. And, sorry guys, but you don’t get very many. With 2B Mindset,you can have a couple from the list at each meal to enhance your food. Ilana encourages you to be mindful of your portions, but doesn’t call for an exact measurement. Ilana has a lot of cute catch phrases to help you remember the princibles of the program. “Water First,” “Veggies Most,” and my personal favorite, “Dinner and Done.” I found that “Dinner and Done” was one of the most effective things I did during tracking. If I ate after dinner (which you are not supposed to), my weight was almost always up the next morning. Ilana also walks you through how to handle if you want seconds, and what to do if you are at a holiday event or having an emotional trigger. I know you want to know more about the Oreos and Mike’s Hard Lemonades, don’t you? Well, it is certainly not a free-for-all, but 2B Mindset allows you to have treats. Whereas the Fix calculates a treat as a “yellow container” and only allows three per week, 2B Mindset lets you decide how many “silly carbs” you can have as long you write it down. You are empowered to decide when you can indulge as long as you track it and become aware of how it affects your weight. To me, this is one of the biggest differentiators between the Fix and 2B Mindset. The Fix is fairly rigid and 2B Mindset is flexible. That’s where the void I referenced at the beginning of this article comes into play. Some people thrive with a very specific, rigid plan. But, many, many others cannot maintain that type of plan and are quickly defeated. 2B Mindset fills the gap to allow people to relax and lose weight in a healthy way at their own pace. Another key difference between the Fix and 2B Mindset is the tracking component. Autumn Calabrese, 21 Day Fix creator and trainer, recommends that you do measurement and weigh in on the first day and then again after you complete the program. Ilana views the scale as a tool to measure daily progress, so you are encouraged to weigh each day. You can then see if the previous day was a “losing” day or a “gaining” day. If it’s a losing day, then you will know you made successful choices and can then repeat them. If it’s a gaining day, you know you probably need to make adjustments with your portion sizes, food choices, sodium levels, etc. This type of tracking means that your weight loss may initially be slow, but will quickly speed up once you figure out how your body responds to your choices. In fact, the test groups and my challengers found that they saw a big push in their loss in month 2 once they were familiar with the principles and staying accountable with their tracking. In its new format, the Fix program materials are found on Beachbody on Demand with the workout videos as well. You will be mailed a container set, and with a challenge pack purchase you also get a month of Shakeology and a shaker cup. 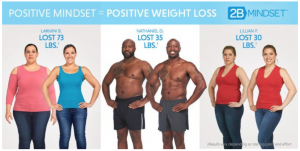 Although 2B Mindset can be accessed through Beachbody on Demand, it can also be purchased separately and accessed through the 2BMindset.com website. With your 2B Mindset order, you will receive access in the mail hard copies of the materials, a tracking journal, and a 30 oz water bottle. The program itself consists of a series of videos that are short and to the point. Ilana has a great personality and offers great explanation behind the science of the program principles. And, she hails from Maryland originally, so I liked her and her accent right off the bat! So, now that you understand the key differences between the programs – how do you decide which is best for you? Even if you are a person who prefers the more rigid approach, I would highly suggest that you consider getting both programs or adding it to your arsenal if you already have the Fix. Why? Knowledge is power! The videos are so interesting and educational, and you will likely learn things about nutrition that you didn’t even realize. And, I guarantee you will find yourselves in situations where you can’t measure or stay exactly on track with the Fix. This will help arm you with ideas on how to stay successful with your healthy lifestyle. Will you truly stay accountable by tracking your every bite and being honest with the amounts? (That includes every one of those Oreos!) If you won’t commit to tracking at least for a few months, this program might not be for you. Tracking is essential to the success of 2B Mindset. If you are like me and hate writing things down with pen and paper, no worries about that. There is an app for that! Well, at least for the IoS users, anyway. The Nutrition + app on iPhones is available to track your meals and access your videos on the go. Next, decide how comfortable you are with making your own decisions about portion sizes and food choices. If you like more freedom, 2B Mindset is for you. If you need a structured, specific program, then you might steer towards the Fix. Are you unable to exercise because of excess weight or injury? Have you been doing the container system and need a change? Do you have a lifestyle with a lot of travel and events where you need flexibility? Are you willing to be more patient with your weight loss while you figure out through tracking what helps you lose most effectively? If you answered yes to any of these, then 2B Mindset might be just what you need to get rolling into your healthy lifestyle. How do you get either program? Glad you asked! If you are interested in ordering, you can use my referral links below. 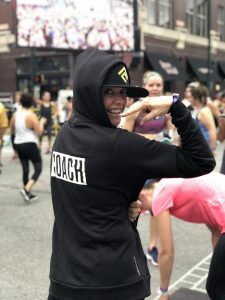 When you order through me, I become your personal coach and I will add you into my exclusive accountability groups that I run each and every month! And, if you are ready to incorporate exercise into your program, you can’t beat the unbelievable value of the 2B Mindset Annual On Demand Challenge Pack with Shakeology. 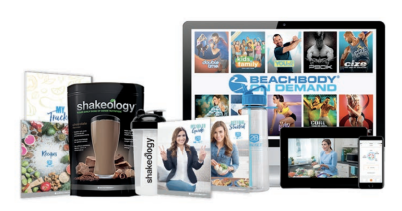 This pack comes with all of the above including the 30 Day Supply of Shakeology, PLUS a full year subscription to Beachbody On Demand with thousands of workout options to stream! You get every single program we offer, anything that comes out during the year, and that includes the 21 Day Fix! Do I have your interest? Let’s chat! Email me at moderndayfox@gmail.com or message me on Facebook or Instagram – both are called Modern Day Fox. I will give you all the details and none of the pressure. I want you to act when you are READY, and you are the only one who can determine that. I’ll be waiting! I know many of you see my invitations for my monthly challenge groups and think to yourself that your issues with your health and weight go deeper than just committing to an exercise program or meal plan. In fact, exercise might not even be something you can do at this point in your life. It might be instead that the answer to your health obstacles does not start with a dumbbell.. it might start with changing your… MIND! Your mind can make or break you in every area of your life. It is the thing that gets you going in the morning, helps you excel at your job, helps you deal with your everyday relationships and navigate through problems. But, it can also be your worst enemy. The thing that tells you aren’t “good enough,” “won’t ever succeed,” and “you should just eat everything in sight because what difference does it make it anyway.” It can tell you constant lies about your ability to find change in your life. And, it’s the one thing you cannot escape. 2B Mindset faces head on the leading cause of weight loss issues and weight management — our relationship with food! Of course exercise is essential for a functional life, but good health truly starts in the kitchen. 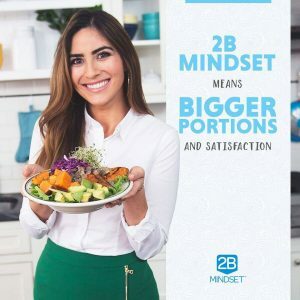 The 2B Mindset solution is created by someone who has actually been there and lost over 100 lbs herself using this method. Ilana Muhlstein is a Registered Dietitian Nutritionist — the highest standard in the field of nutrition — and earned a Bachelor of Science degree in Nutrition and Dietetics from the University of Maryland. (You know I loved her immediately because she is a TERP!) 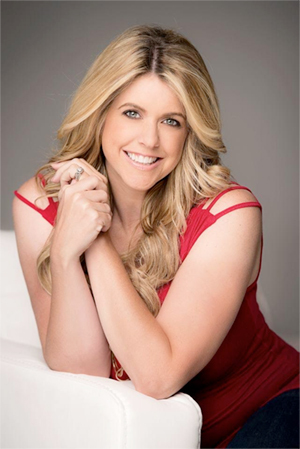 Illana, along with a private success group run by me, will personally help you shift your mindset, helping you to create a positive, healthy weight loss. 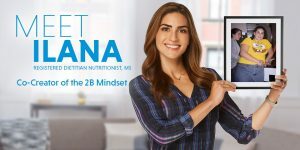 Ilana’s system is a healthy approach to eating that lets you feel full and satisfied, while arming you with proven strategies that will help you co-exist with food in real-world situations, satisfy cravings, and anticipate setbacks before they happen. This is the key to winning the weight loss struggle! This program is simple to follow. You will learn strategies to help you consume more water, prepare and eat wholesome foods and actually enjoy them, and we will shatter the myth that the bathroom scale is your enemy. In fact, you’ll end up loving the scale, because it will become a powerful weight loss tool. Once you take ownership of the program and its principles, it’s yours for life. One of the first questions I’ve gotten from my existing client base about this program is how Shakeology is integrated into 2B Mindset. Ilana is a huge fan of Shakeology! Because of its high-protein content (17 g), Shakeology can count as the protein for any 2B Mindset meal. 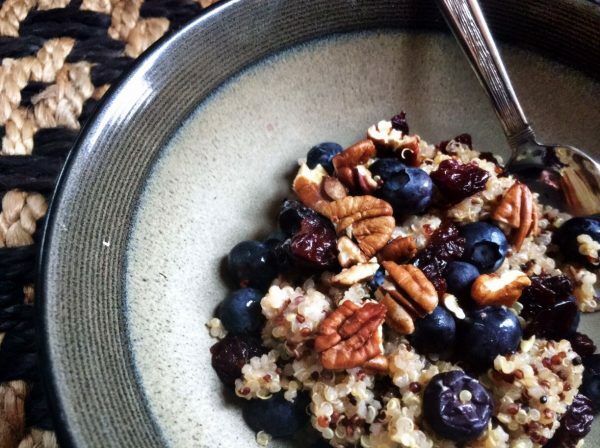 One of Ilana’s primary tips for weight loss is for people to have a consistent breakfast. And since Shakeology is easy and quick to make—and tastes great—she chooses it as part of her consistent breakfast every morning. Since it’s a protein, it can also work as part of your lunch, snack, or dinner so it integrates perfectly into every day, and the best news is you get to decide when! And she has so many great ways to enjoy it and make it even more satisfying. The next question is whether exercise can be incorporated. Absolutely! As I said before the 2B Mindset does not require exercise, but it’s encouraged and it’s considered “extra credit.” Yes, the program focuses on nutrition and weight loss through the foods we eat. But, once you start seeing some real progress with your weight loss, you are inevitably going to want to move in your new and improved body! So, are you ready to say goodbye, once and for all, to emotional eating, mindless snacking, punishing yourself for indulging on foods you love? If so, 2B Mindset is the answer. Let’s change our MINDS together. I am thrilled to be able to offer this brand new program that is 100% focused on changing your relationship with food. Whether people have 150 lbs to lose or 5 lbs, this program is going to change lives. Beginning May 7th, I will be launching The Mind Shift Success Group on Facebook (secret, completely private group) and I want YOU to be a part of it. 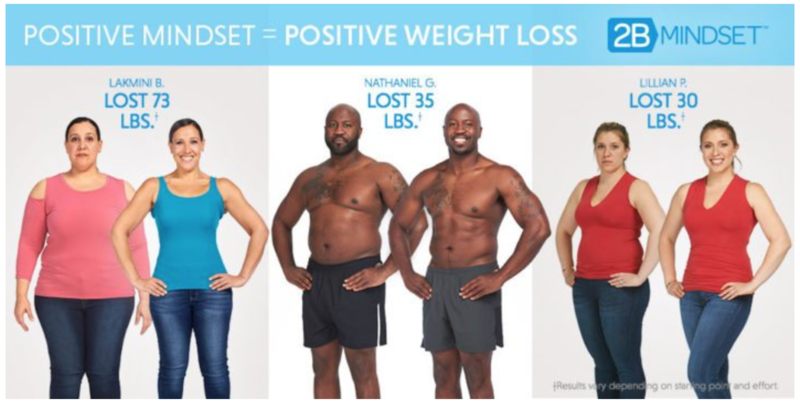 With this program and the help of me, your dedicated Team Beachbody Coach, we will master the 2B Mindset! The time is NOW to take control of your life and your MIND! For more information, fill out this form! This girl is back on the Fix wagon. I finished up Hammer and Chisel a few days early so that I could join my rock star challengers with a new round on May 1st. Since I have a few newbies in the group, I decided to go to battle with them and do the 21 Day Fix again on Beachbody on Demand. I’m excited. I know this program gives me results and that is what I’m looking for! So many exciting things coming up this summer and I want to be in tip-top shape. My group truly inspires me to be better and to do better. This recipe is a sweet twist on quinoa while still being clean and healthy. When served with berries and nuts, it makes for a hearty breakfast. Eat it up, then go get your workout done! Enjoy! This post contains affiliate links for Amazon and Beachbody, but this is not a sponsored post. All opinions are my own. When you use my links for purchases, you are directly helping to keep this blog afloat! Pour all ingredients into inner liner bowl and stir well. Set Instant Pot to one minute, high pressure. Allow a natural release. Fluff with a fork before serving. 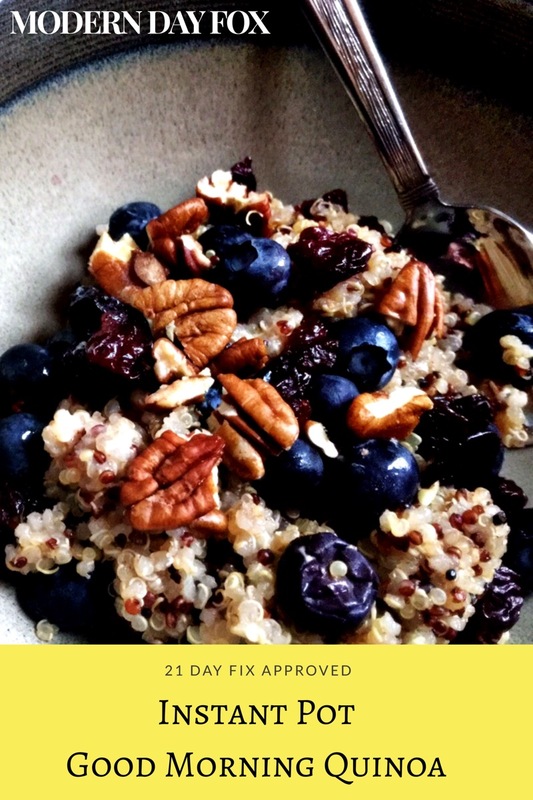 Top 1/2 cup quinoa with 1/2 cup berries and 10 pecan halves. The holidays have finally come to an end! Shewwwww! Don’t get me wrong, I loved the last month and a half. I put a special focus on reconnecting with more old friends than I could count. It was just what my soul needed. And, my kids had a blast! My six year old son exudes the holiday spirit more than anyone I’ve ever met. Both of my sons were full speed ahead soaking in every bit of Christmas joy they could muster. But, all of that – woah. It is a LOT. I am whipped. I’m ready to get back to routines and healthy eating. While I did manage to get through the holidays without gaining any substantial amount of weight, my jeans are starting to get a little tight from the endless amounts of party foods I shoved in my mouth over the last couple weeks. Time to make it stop! I kicked off a Beachbody fitness challenge in my private accountability group on Facebook, and I have around 15 women who are committed to finishing a program this month. The majority, myself included, are doing the 21 Day Fix. I’ve done the Fix three times, but it’s been nearly a year since I last completed a round. It seemed like the perfect program to kick the year off for me. Today I spent my time food prepping for the week. I find that if I have some meals ready to grab and reheat, I’m much more apt to stay on track. I’ve been scouring the internet for clean eating recipes for my Instant Pot and stumbled around two that were perfect for this week. The first was from Nom Nom Paleo – Pork and Napa Cabbage Soup. Check out the recipe here! The second was from This Old Gal – Salsa Lime Chicken and Rice. Check out the recipe here! I made a video of the prep and even included my “fail” when I tried to do a pot-in-pot preparation of the chicken and rice. I should have known better not to try to swap out brown rice for white without adjusting the cooking time. My rice was undercooked and required another 8 minutes of cooking time. Both dishes turned out fantastic, and I’m looking forward to enjoying them throughout the week. Pork and Napa Cabbage Soup – I made the serving size 1.5 green. Container counts would be: 1.5 green, .5 red, .5 (if that) yellow, and 1 teaspoon as I didn’t drain the pork fat. I’m not scared of fat! Fat makes you feel satisfied. Salsa Lime Chicken and Rice – 1 Red, 1 Yellow, and 1 Green if you add the arugula like I did.